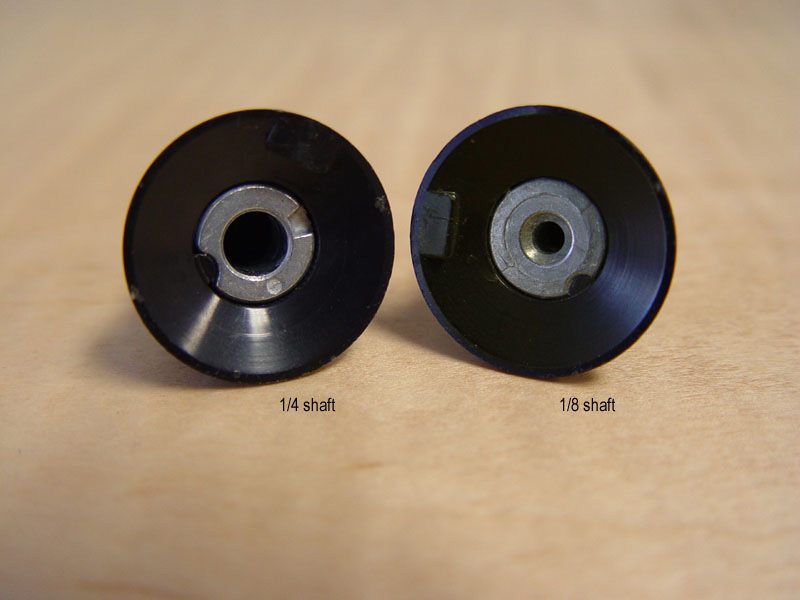 High quality US-made original military spec knob used on classic Alembic basses and guitars. Includes 1/16 inch allen key for installation. 1/4" size for most Alembics. Early Spoilers and Distillates may need the 1/8" shaft diameter. Check your Alembic first to see which size you need.